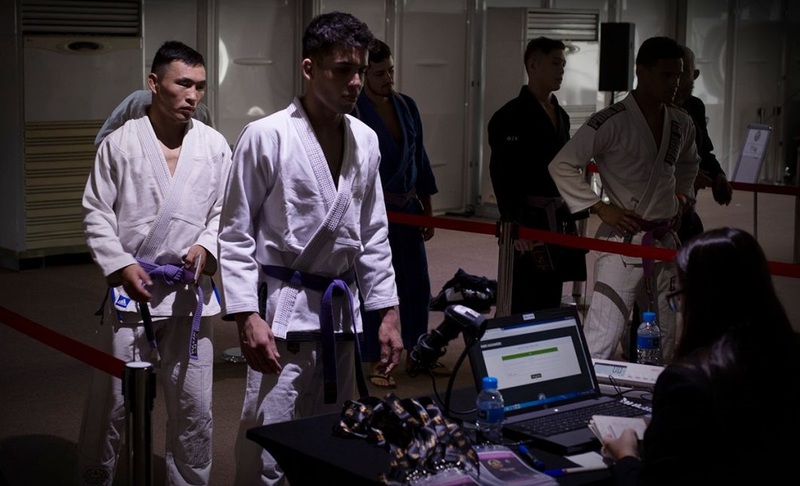 Today begins competition among purple belt divisions at the 2018 Abu Dhabi World Pro. The champion of each weight class winning $4,000 and second- and third-place finishers taking home $2,000 and $1,000, respectively. Here's a deeper look at three of the top competitors to watch for in the purple belt ranks. The Cicero Costha prodigy known as “Little Miyao” has been on a rampage at the lightest weight since getting promoted to purple belt in 2016. Already a World Pro, Worlds, European, and Pan champ at purple belt, Soares has not lost in his weight category since he was a blue belt two years ago. Soares is currently the second-ranked overall purple belt in the 2017-18 season after gold medals at the Tokyo, Rio de Janeiro, and Abu Dhabi Grand Slams. Karahan recently took first in the open class at the 2018 Europeans, submitting several opponents with his trademark “Kurdish Necktie” along the way. A regular top finisher on the European BJJ scene at purple belt, Karahan’s unconventional style of hunting for subs with collar chokes from any position leaves his opponents in constant danger of getting finished. Pedro Machado burst onto the scene when he won double gold as a blue belt at the 2017 World Championships. Machado has continued this success so far at the next level, winning the medium-heavyweight division at the 2018 Pans. The 18-year-old Rio de Janeiro native is no doubt one of the most promising prospects in the purple belt divisions.